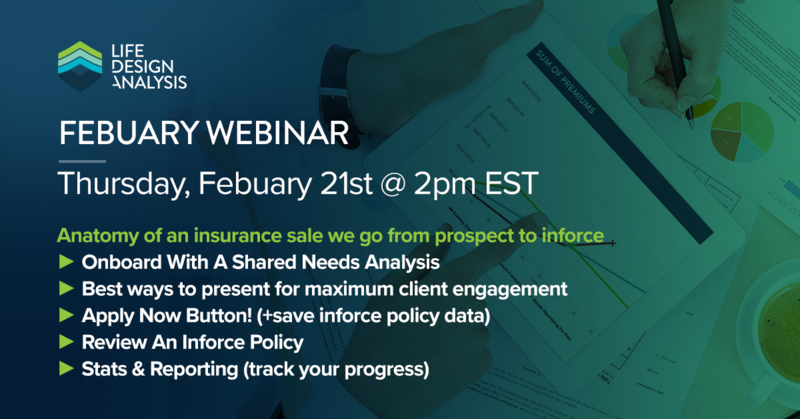 We take you from prospect to inforce policy & back around to review. Register today to see a start to finish demo of Life Design Analysis. We take you from prospect to sale and back around to policy review. View the anatomy of an insurance sale through LDA.